Our London trip is fast-approaching, and while I’m not stressing over learning a new language or wondering what the weather will be like (I know it will be freezing! ), I am completely overwhelmed by all of the must-see sites and attractions that London and the surrounding area has to offer. For a first timer, a 7-night trip seemed more than long enough, until I realized that even with 7 nights, there is no way we could fit in everything (and do it well). So, we decided to map out a detailed, tentative itinerary (to be changed while we’re there, I am sure!). As a warning, this post is going to be lengthy and wordy, but hopefully it will help show how we came up with our plans. Ryan has been to London twice before, and so he has seen many of the major sites. That being said, most of them are worth visiting again, so we really aren’t taking into account what he’s already seen. I made a list of the top 10 sites we wanted to visit, as well as additional attractions and things to do. The list is no where near exhaustive, but we had to start out with something manageable. We tried to rank the sites in order of priority, but changed our mind as we were planning out which thing to do or see on each day. Here are the sites we considered: Tower of London*, British Museum*, British Library, St. Paul’s Cathedral*, Westminster Abbey*, London Eye*, Churchill War Rooms and Museum*, Tate Modern, Parliament*, and National Gallery*. Westminster Abbey and other sites in London. Here are the other attractions, areas, things we wanted to fit in (including day trips): Day trip to Bath and possibly Stonehenge, day trip to Brussels*, Hampton Court Palace, Kew Gardens, Windsor, Covent Garden*, Portobello market* (Notting Hill – Saturdays), a musical* (Les Mis is on the top of our list), Christmas Market(s)*, outdoor ice skating*, Greenwich*, the Docklands*, Harrod’s*, walks* (through the Westminster area, West End area, Southbank area), Hyde Park*. Sunday: check-in, wander around close to our hotel (which is near the Green Park metro stop) – Hyde Park, Harrod’s, part of the West End walk. 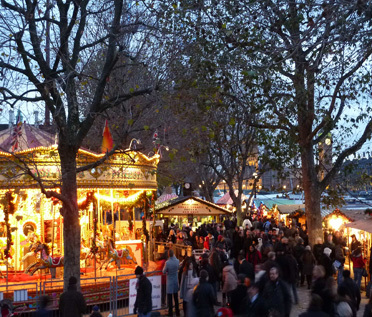 If we aren’t too tired, potentially check out the Southbank Christmas Market (or a different one). Monday: Pick up theatre tickets (“half price” same day tickets – ticket booth opens at 10am), “The City” walk (starts at Trafalgar Square) – make a stop at the Twingings Tea Shop, St. Paul’s Cathedral (after lunch, spend two or so hours here), Churchill War Rooms and Museum, quick dinner and then the musical! Wednesday: day trip to Brussels, Belgium. Leave at 8:57 and return on the 17:56 train. Christmas Market after dinner, if we aren’t too tired and haven’t been yet. We haven’t booked this yet, but we were originally thinking that we would take this trip on Friday, only to find out that the train tickets were almost double! If, for some reason, the train tickets increase too much in price, this trip may not happen. If that’s the case, we have several options: Windsor, Hampton Court and Kew Gardens, a trip to Stonehenge (since we decided to only go to Bath), a day to wander in London, etc. Saturday: Portobello Market (Notting Hill), British Museum, Convent Garden, ice skating/Christmas Market after dinner if no time on a previous day. Trying to come up with a realistic, but packed, itinerary was difficult, but we started by looking at days that attractions were closed and days they opened early or later or stayed open late. We also considered which sites might be better visited in the morning vs afternoon vs night (reviews online, Rick Steves, personal preference). We arrive on a Sunday around 11am, and I have to assume that I won’t sleep at all on the plane, and will be exhausted, and we leave the following Sunday around 3pm, but do not want to plan anything for that morning. While this itinerary is more realistic than most I’ve put together, I realize that it is very unlikely that this will go exactly as planned, and we’re okay with that. The main motivation for creating this itinerary (besides convincing myself that we can get a lot done in 6 full days) was to see if we could fit in both of our day trips, and if so, which days those should fall on. The Brussels train ticket will be cheaper if purchased ahead of time, and the Bath trip was originally going to include a third party taxi/tour company, so booking ahead would have been essential. And finally, you may notice the lack of restaurants and bars on the itinerary. We are definitely excited to try some London fare (such as fish and chips washed down with beer) and ethnic foods, but for the most part, we would rather depend on recommendations while we’re there. So far, the recommended restaurants have been absolutely amazing, and with so many different options in London, it seems silly to do the choosing while we’re 5,500 miles away. * Sites and attractions that made it on our itinerary. This entry was posted in Itinerary, Travel, Travel Planning and tagged London, London 2012 Trip, travel planning by Kristin. Bookmark the permalink. Thank you! We are currently revamping our blog and have many posts that are waiting to be published. Please come back and visit! We hope to be up to date within the next month or so! Loved every bit of your blog. Amazing.